Saying “I do” to an engagement ring is a milestone we can’t image fading away anytime soon, but over the past ten years exactly what that engagement ring looks like has shifted. While classic styles continue to remain popular, slowly but surely, fresh settings and stones have emerged on top as a new generation of women is starting to think about walking down the aisle. Chalk it up to the upward age shift in marriage, or a move toward more individualized, unique styles, but over the past decade, we’ve seen a few strong patterns emerge when it comes to engagement rings. To dive further into it all, we tapped a handful of trusted experts to weigh in on exactly what’s going on with engagement rings. From the rise of online shopping to the cuts, colors, and styles that have risen to the top, consider this a lesson in the recent history of engagement rings, straight from those who know best. Whether you’re in the market for a sparkler or not, we found it all fascinating, and think you will too. Read on to learn more about how engagement ring trends have changed in the past decade, then shop a few current must-have styles! One major trend noted over the past decade is individuality. “There has been a huge shift in the market recently, with a large amount of customers looking for something unique and different,” says Sindur McRedmond, director of jewelry and gemology at Everything But the House. While traditional settings remain popular, shoppers are looking for rings that feel special to them. An unexpected twist on the engagement ring. Pearl feels precious, but unexpected. As women embrace their individual tastes, another trend that has emerged among those shopping for engagement rings is that they’re more adventurous about the types of stones, and the colors of both gems and metals. “Many customers choose a unique, colorful stone that holds personal meaning for them,” notes Beth Gerstein, co-CEO of Brilliant Earth. Ah, a simple blue that goes with anything. Another major trend in engagement rings that has emerged over the past decade is a resurgence in vintage or retro-inspired engagement rings. “The workmanship on a piece of vintage jewelry is truly a work of art. Every single filigree design was handmade and that level of craftsmanship just doesn’t exist today,” McRedmond says. Gerstein adds, “Vintage details reimagined in contemporary settings,” while describing of-the-moment styles. Consider this the ultimate throwback. An estate ring you'll never part with. Oval looks ultra-flattering on the finger. 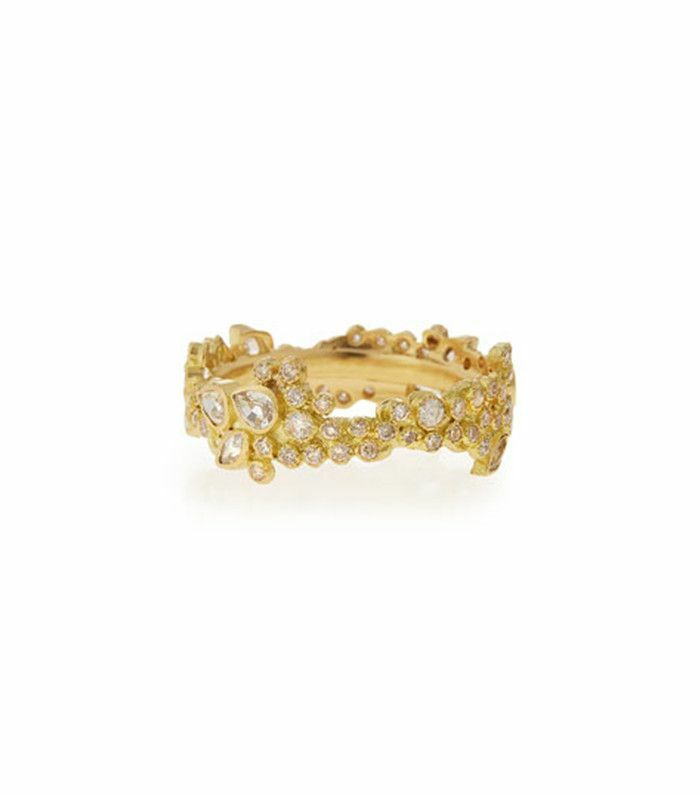 This oval ring truly shines. With the rise of the internet, anything can be purchase online, including an engagement ring. “We’ve seen double-digit sales growth every year, ten years counting,” says Sigler. Though a big ticket item may seem like an intimidating online purchase, Gerstein notes that consumers are comfortable, especially if it’s a “brand they trust.” So, while some may still want to see the ring in person, shoppers aren’t afraid to purchase a ring from a brand they feel confident about. A cool ring you’ll treasure forever. Want more engagement ring inspiration? These are the styles that blew up on instagram!